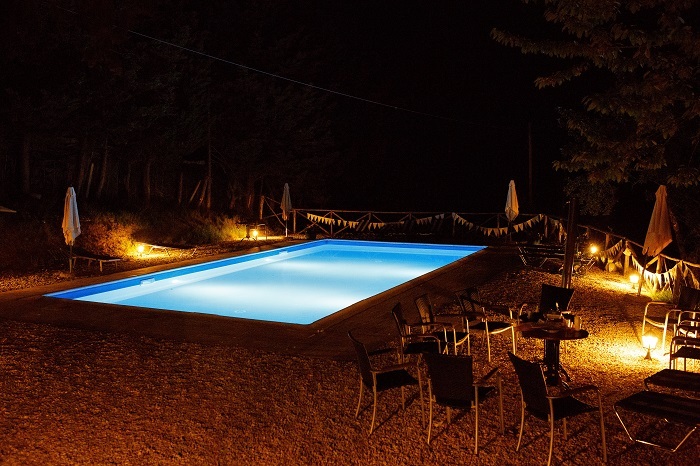 The swimming pool of the Villa is situated at the eastside of the Villa and faces the south with a beautiful view of the valley and the hills. The swimming pool is 14 meters long and 6 meters wide and has a terrace with comfortable deck chairs. There are also shadowy spots near the swimming pool if you prefer that.